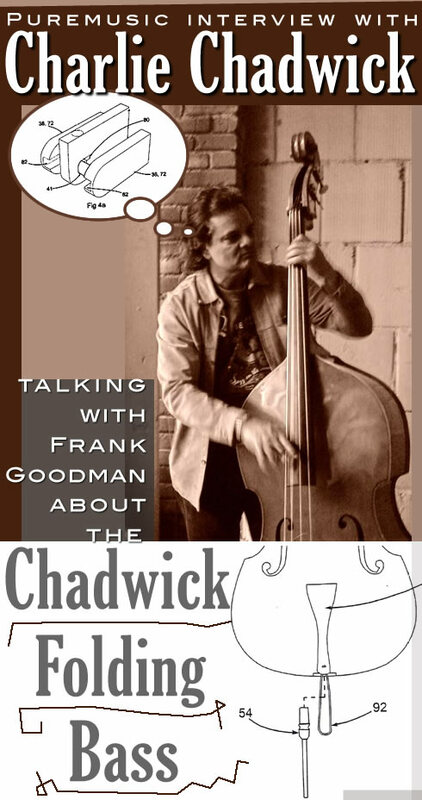 I've known Charlie Chadwick quite a few years in Nashville. Think I first ran into him playing with the early Gypsy Hombres in the days they used to play every Sunday brunch at a local brewery restaurant. And I used to catch him later in Jamie Hartford's band (son of John) with the notorious Ray Flacke on guitar. Charlie's one of those very present people. Musically he's extremely precise but very passionate as well. I know in later and more recent years he played with Pam Tillis and Shelby Lynn and more recently has been touring the world with guitar ambassador John Jorgensen, playing Django-style gypsy music and probably whatever other style occurred to them. I've had occasion to play or record with Charlie here and there, and sometimes in the most offhanded moments, at his or someone else's home. He's a magic maker, one of those guys that will come up with something that brings things to another level. Although he's an excellent electric bassist, his proficiency on the upright bass almost guarantees that he's been hired for that difficult axe. Like all upright bassists, Charlie faced a huge problem in flying his oversized instrument around the globe on commercial airlines. So, being the seat-of-the-pants engineer kind of guy he is, he set to figuring out how to shrink his bass without destroying his sound. And he worked on it for years, and came up with something that no one had ever thought of, or had credibly executed. The rest is history in the making, and here we bring you a conversation with the guy that put it all together so that upright bassists will be able to play gigs around the world with quality instruments that they own, rather than renting the crap that's available when you get there. 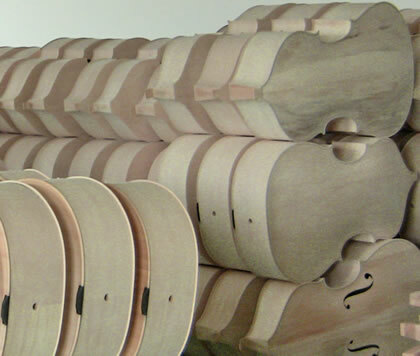 You'll be surprised when you see the Chadwick Folding Bass, how it actually folds into the back of the instrument. It's ingenious, and it's in production! Charlie explains the problem and the solution very well in the upcoming conversation. Charlie is also an in-demand producer in Nashville, and has cut world renowned CDs in his studio, which is also the home of the acclaimed CDs of his wife, singer songwriter Laurie McClain. Charlie's stable of players on his projects is a who's who of stringmeisters. This is our first "gear" piece ever, and we hope to bring you more, especially when they represent this level of innovation and creativity. And now, Charlie Chadwick and his folding bass.